One of the benefits of staying in gîtes or vacation homes rather than hotels is that the owners provide a wealth of information about the area along with some great recommendations for things you might never find out about on your own. 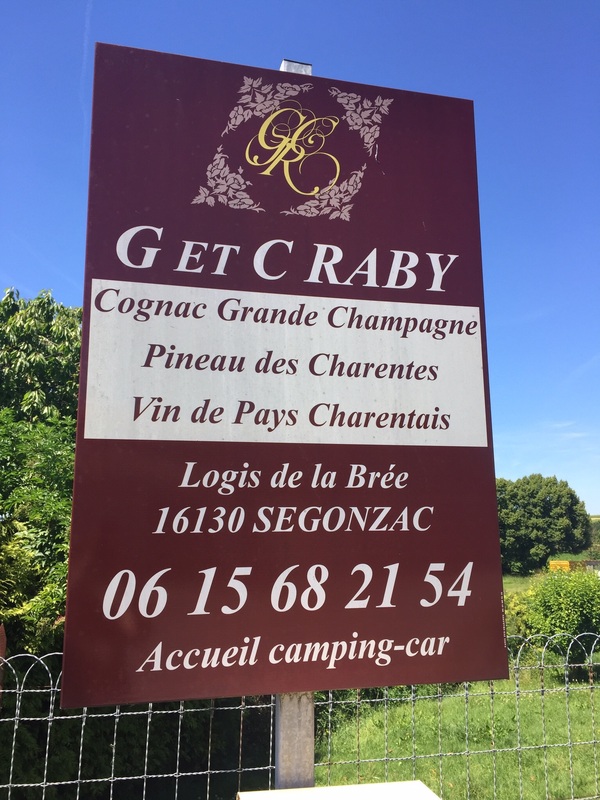 Our current hosts, Yvonne and John, at Le Cerisier suggested we visit a local cognac producer, G et C Raby, within a few minutes walking distance of our gîte. This is a small family run business that has been in the Raby family for four generations. It is currently owned and operated by Gérard and his daughter, Cécile, one of the only women in the region to be in charge of such an operation. We had a marvelous experience — a very intimate, private tour. Just the two of us. Our guide, Miriam, a vivacious young lady spent an hour and a half explaining every detail about cognac production, touring us through their small facility, and providing a very informed tasting at the end at no cost nor expectation of purchase. Back in the U.S., we have visited many vineyards in the Sonoma and Napa valleys near our home and while in Kentucky, thanks to the hospitality of my cousin Robin, learned how bourbon is made. 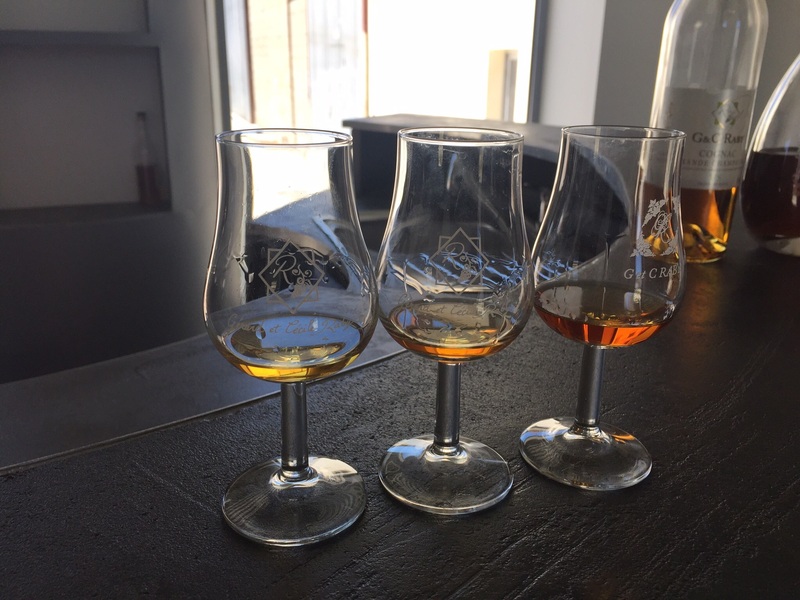 While there are some similarities in the process, cognac has its own unique requirements. First of all, it is important to understand that unlike wine which can be produced all over the world, cognac can only be made from grapes grown in this small region of France. It all began when the Dutch traveled by ship during the 13th-16th centuries to trade salt for wine. They discovered that the wine began to deteriorate on the long return journey to the Netherlands so they used their newly established distilleries and transformed it into “brandswijn” — burnt wine, hence, the name, Brandy. Eventually, they came up with the idea of “burning” it twice creating what is called “eau-de-vie” that becomes better and better the longer it is aged in oak barrels. 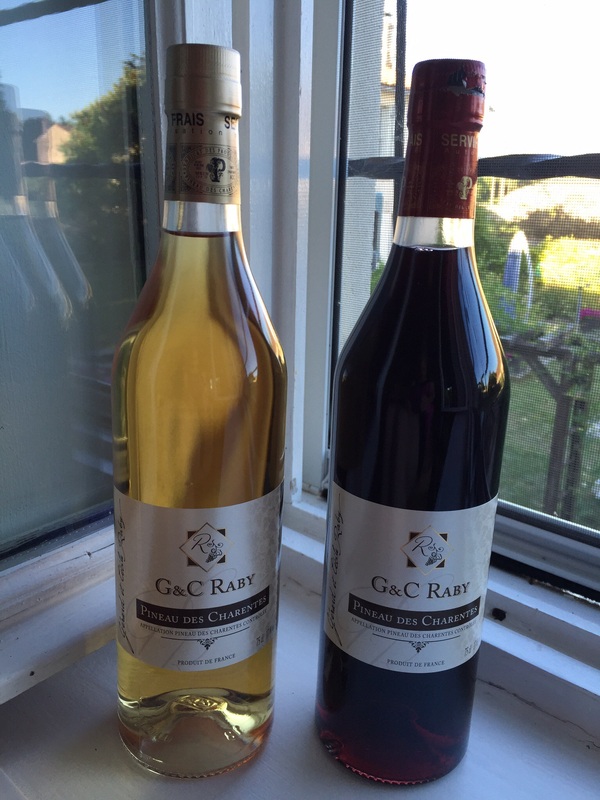 The grapes for making cognac, mostly Ugni Blanc, which are too acidic to eat, are harvested and pressed using traditional wine-making methods. 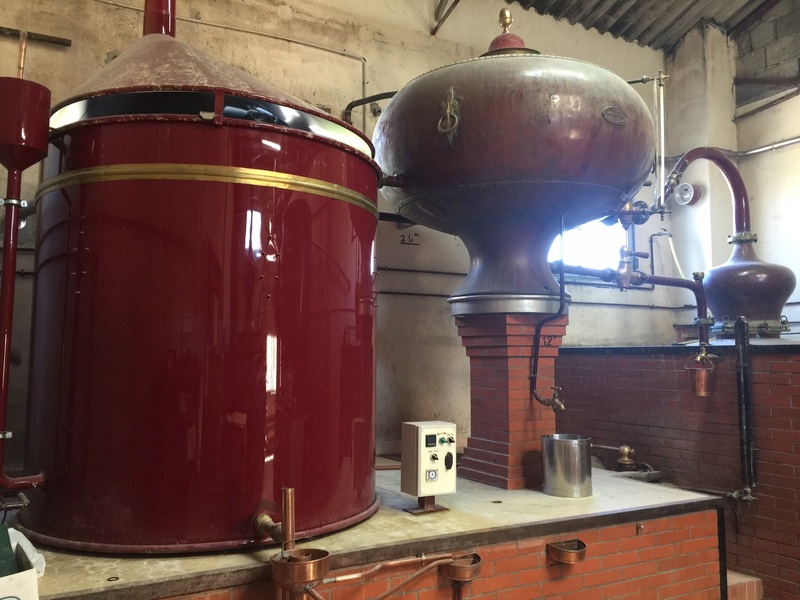 Once the grapes are pressed, the juice is left to ferment for about a week at which time it is ready for the first distillation in a copper still. It is not so much “burnt” as it is boiled, creating vapors that when passed through a long copper coil to cool the vapor, it once again becomes a liquid. Managing the result of the first distillation is the responsibility of the master distiller who has to make “the cut” separating the “heads” and “tails” of the vapors and reserving the “heart” for the second distillation which will produce the final product. 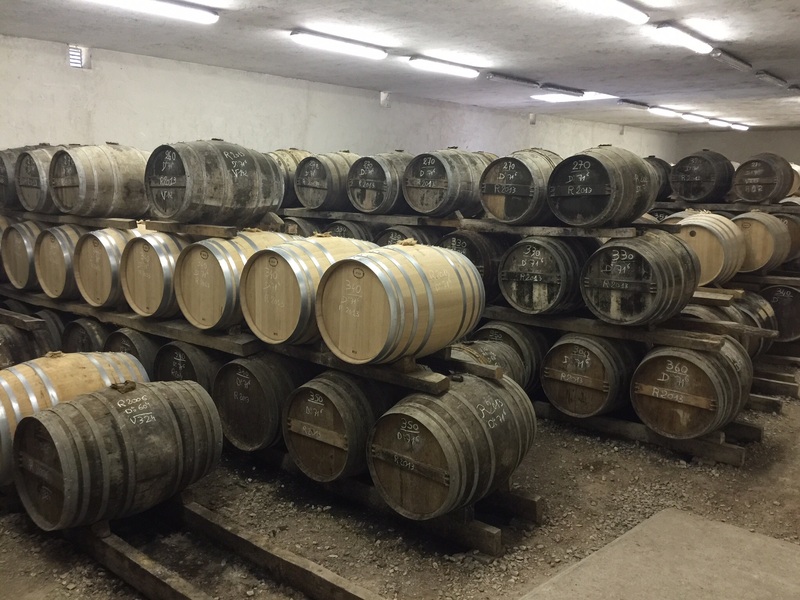 The length of time the alcohol, or eau-de-vie, remains in the oak barrels determines the quality of the cognac which is finished with a variety of designations. VS, Very Special, is the youngest, and, therefore, least expensive cognac requiring at least two years of aging. Next, VSOP, Very Superior Old Pale, requires a minimum of four years. The best cognac, XO, Extra Old, is aged for at least six years. These numbers represent only the minimum requirements. In reality, the various levels of cognac are aged for many more years — the highest quality for as many as 40 years or more. Of course, the best part of any tour is the tasting. We were fortunate to be treated to a taste of the VS, XO, and one a level above all others designated Extra. The color, aroma, and taste of each are totally unique. Once you have experienced the best, you certainly get spoiled. 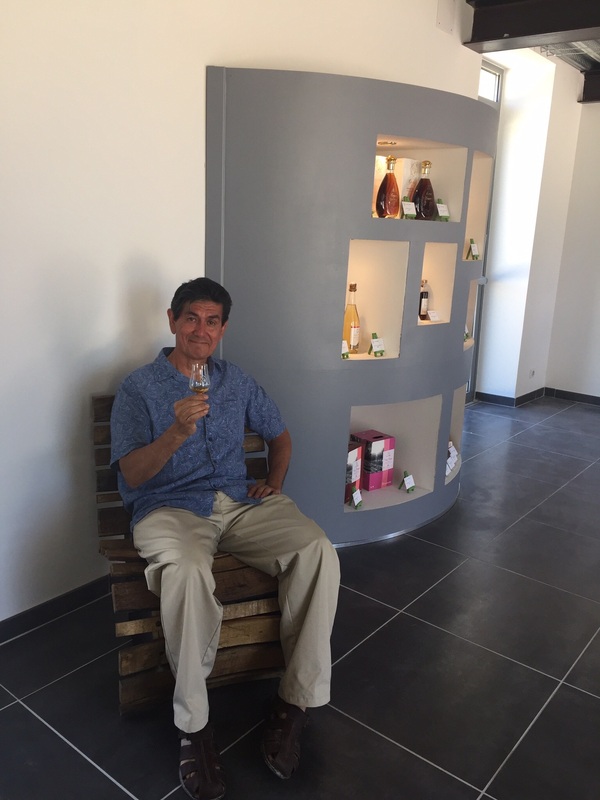 While the most expensive brand of some cognacs can cost upwards of $200, here at the source in the Charente, we were able to purchase it for only $60! 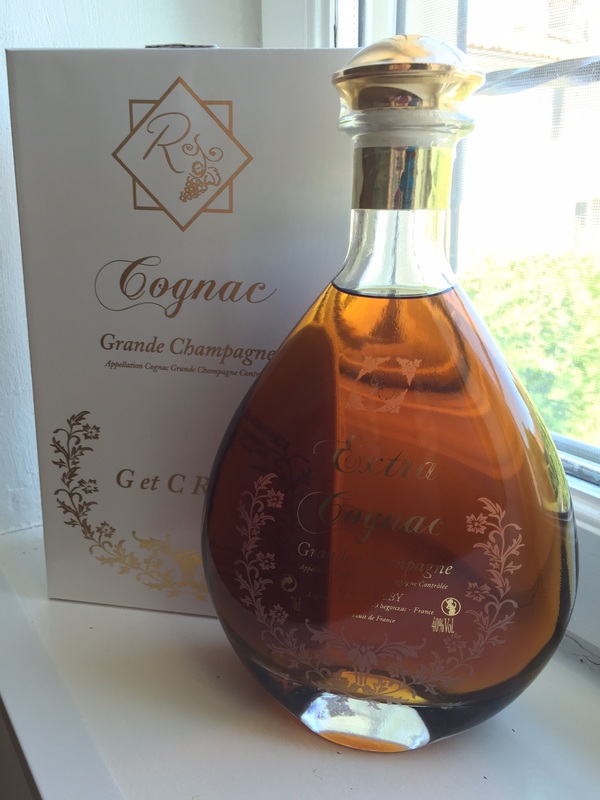 One of the other products produced when making cognac is Pineau, a sweet aperitif or dessert wine. It is very popular in this area and we were offered a tasting of two different types – red & white — both of which were very delicious. Pineau is made by pressing very ripe grapes with a high sugar content and immediately adding cognac to stop the fermentation after which it is aged in oak barrels for 14-18 months and the very best Pineau for as long as 10 years. After such an informative experience, we came away from our tour and tasting today with a new appreciation for cognac. While I haven’t been much of a fan of cognac, Norman has enjoyed it for some time now. The quality of the cognac produced here, however, is incredible. Like any fine liqueur, the longer the aging, the the better the taste. The best we were served was a deep golden amber in color, had a faint aroma of licorice or anise, and felt smooth and luscious to the mouth.